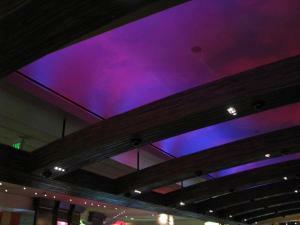 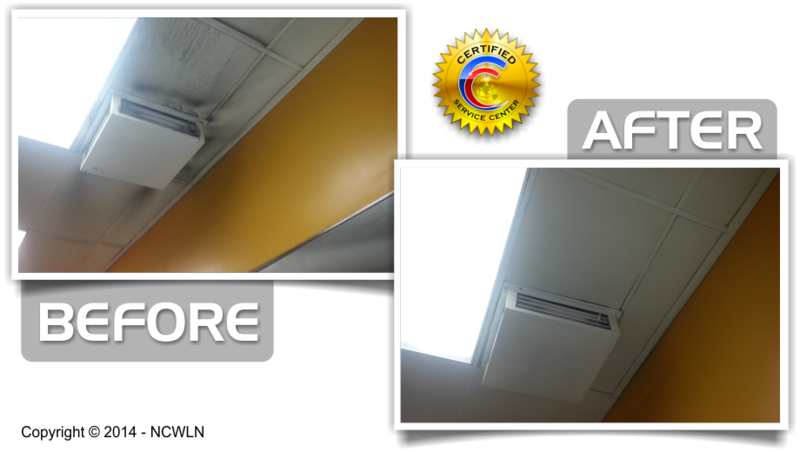 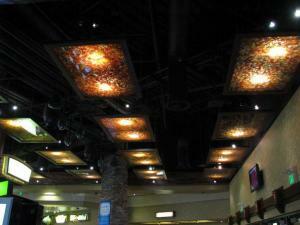 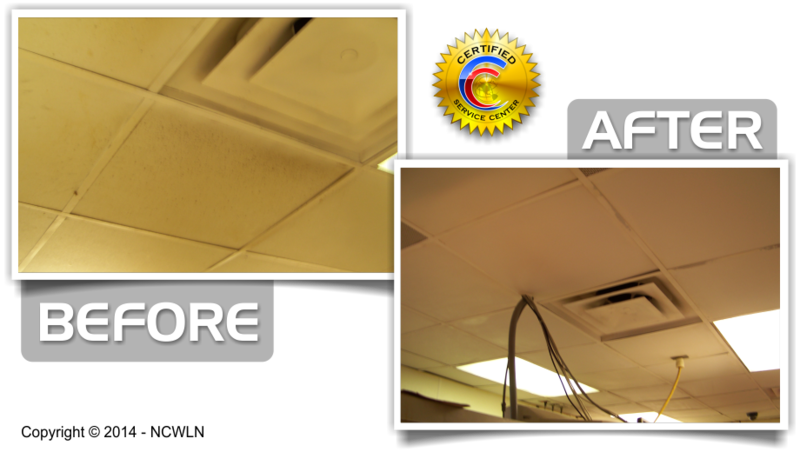 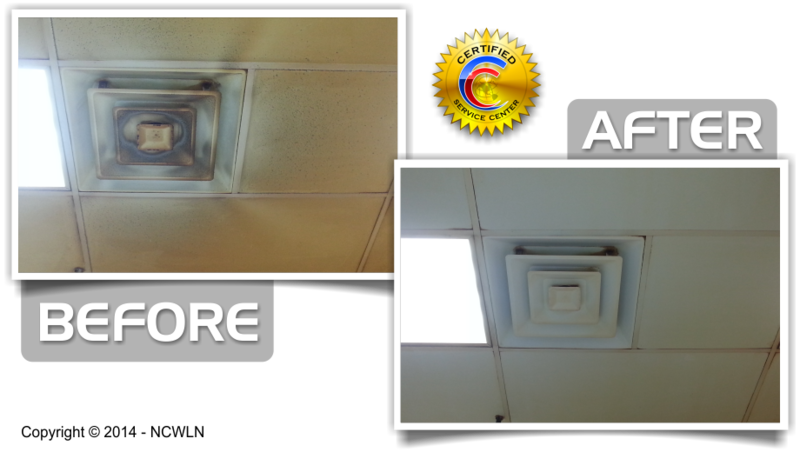 Since 1987, The National Ceiling, Wall & Lighting Network has delivered services for the Specialty Cleaning and Services Industry, specializing in acoustical ceilings, walls, lights and other specialty cleaning services. 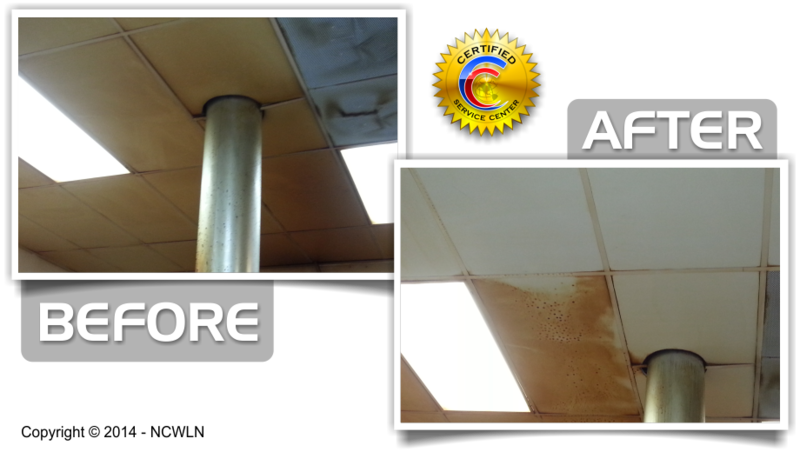 We can handle a wide varity of specialty cleaning services to include such things as; High Ceilings, beams, pipes and structure cleaning, High Cleaning that requires lifts, safety and expertise. 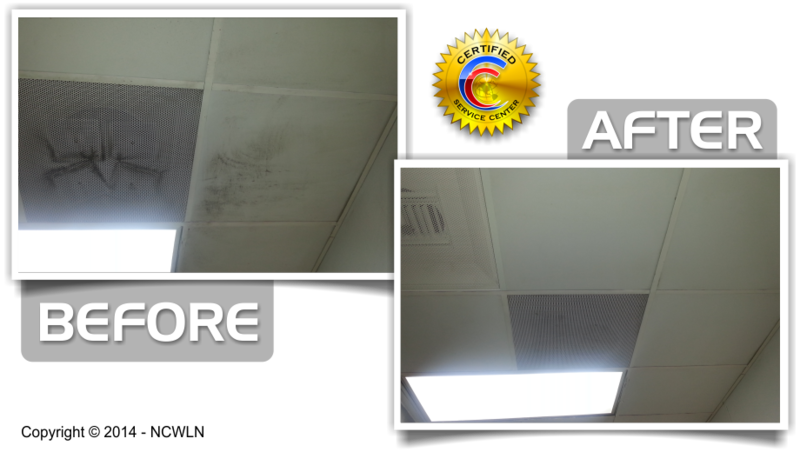 Our exclusive cleaning formula's can't be compared, our cleaning methods deliver superior results on the toughest and largest facility cleaning jobs, without any mess, and, with superior results, time after time, after time. 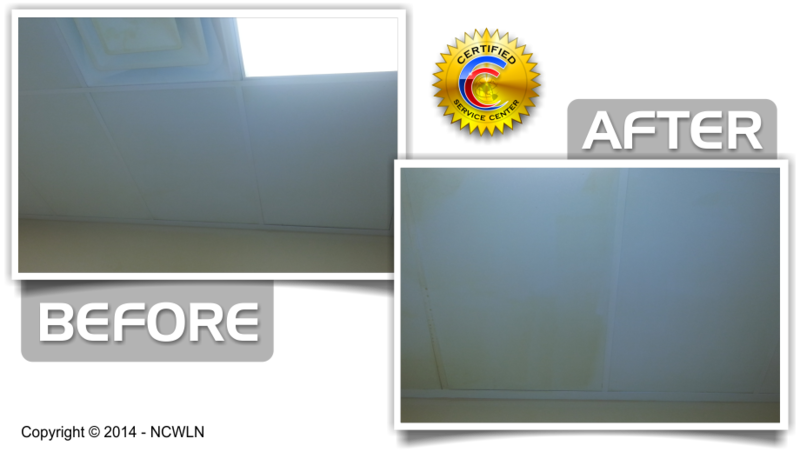 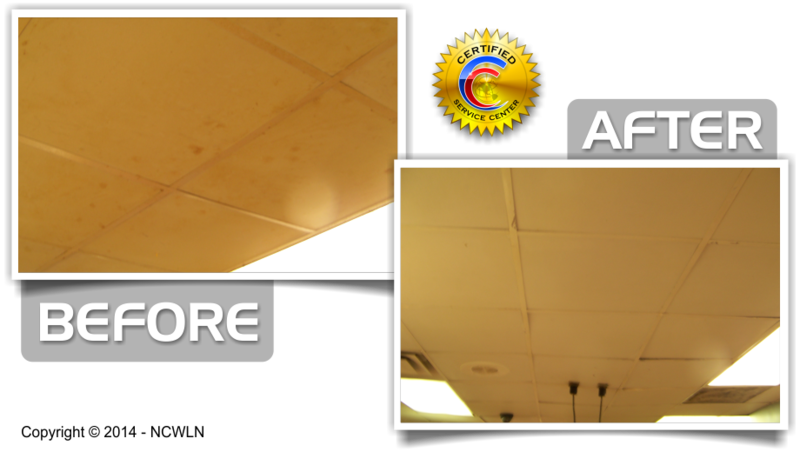 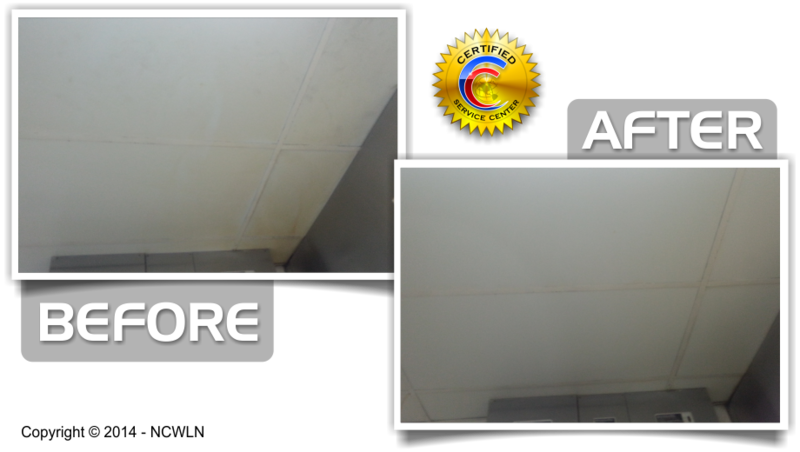 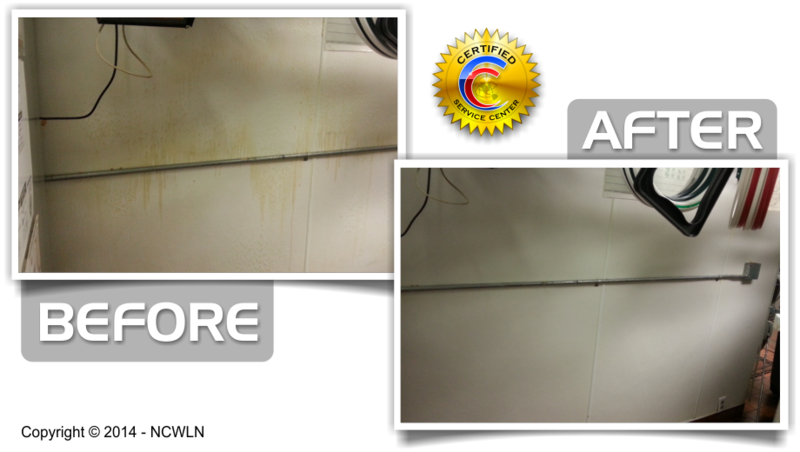 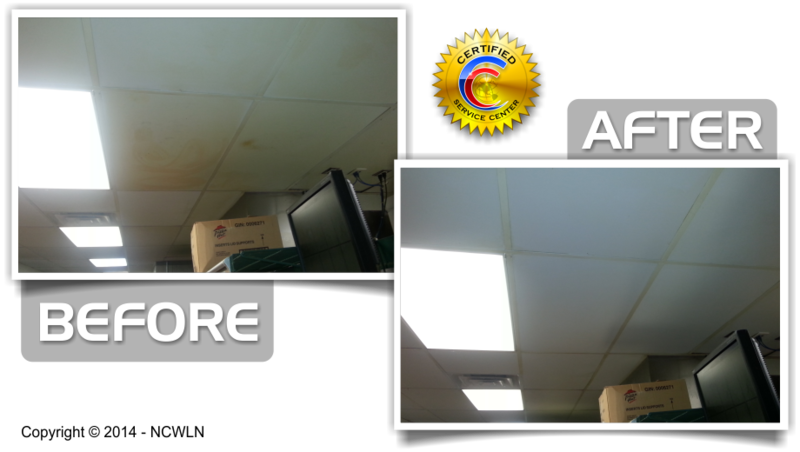 Check out the samples below, and then imagine, all the specialty cleaning jobs we have done since 1987. When you truely need a specialty cleaning team call the one that others trust. 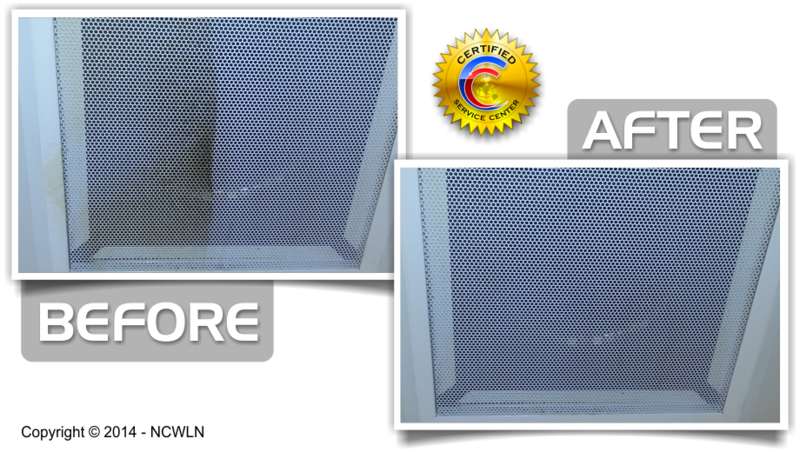 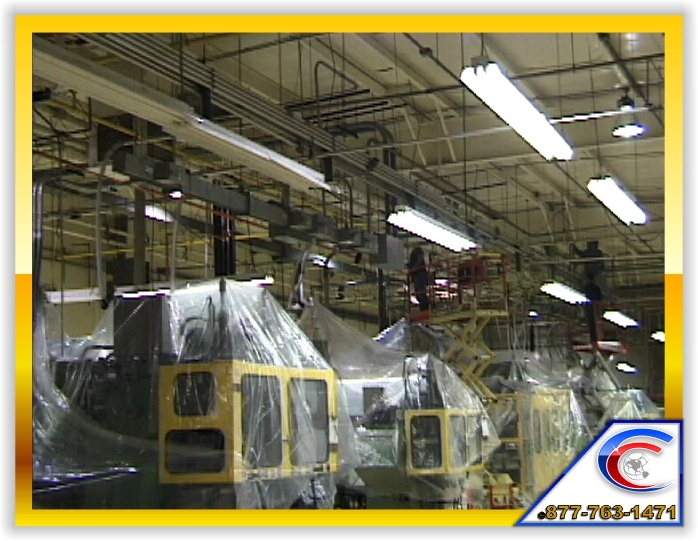 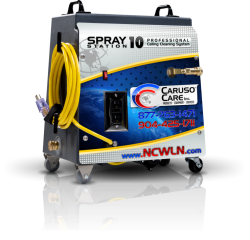 This manufacture utilizes our company's Trained Arial & Sissor Lift Operators to deliver Specialty Cleaning quality control measures to its facilty. The results! 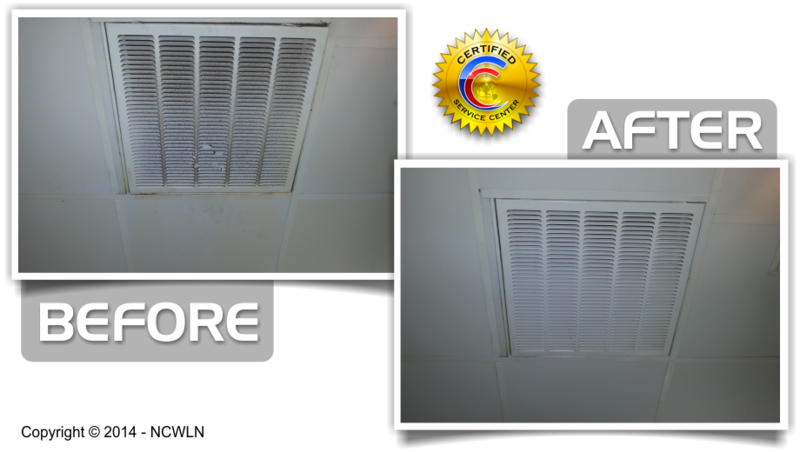 A superior product for it's customers. 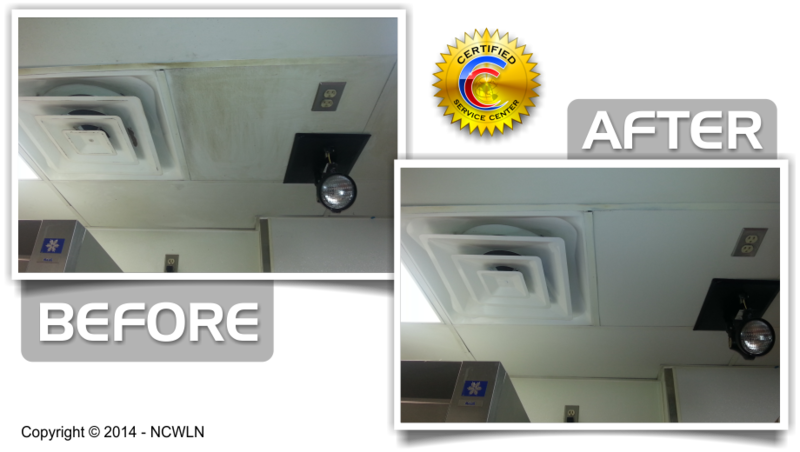 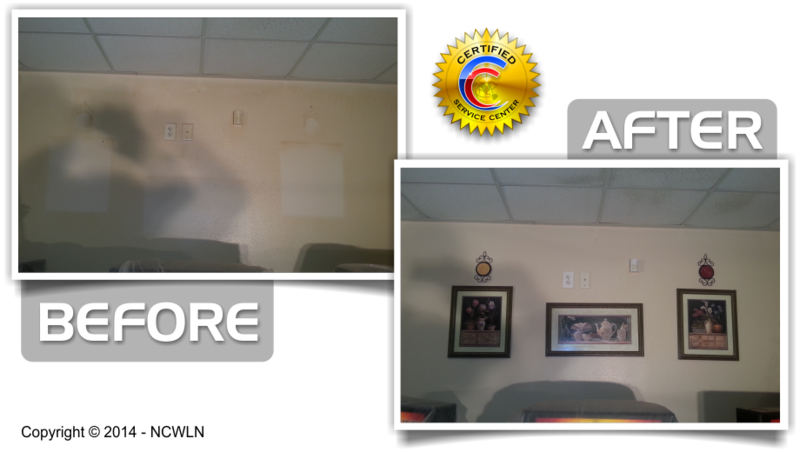 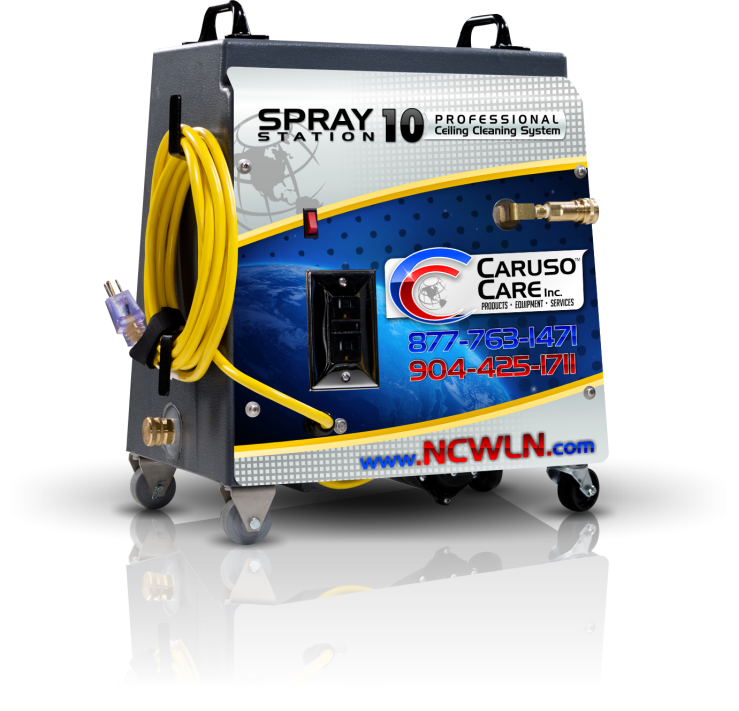 By our customer keeping there facility cleaned insures their customers that they deliver on the best product possible. 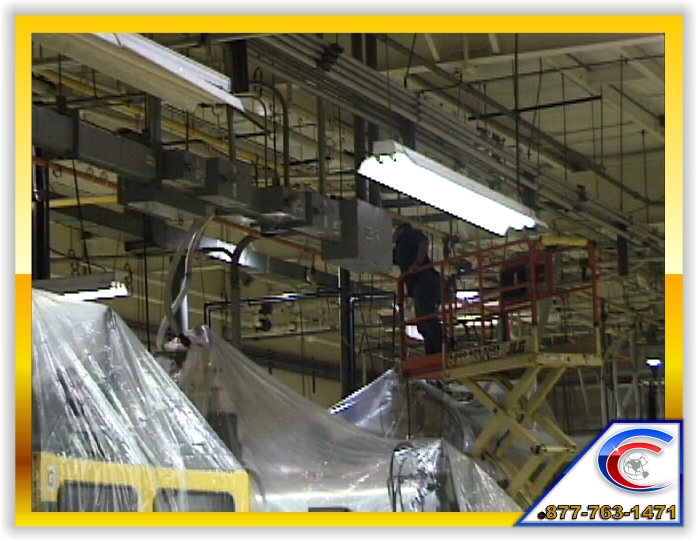 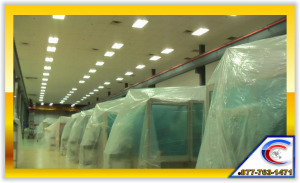 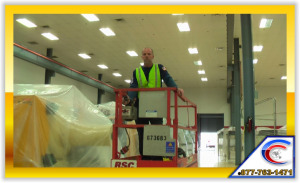 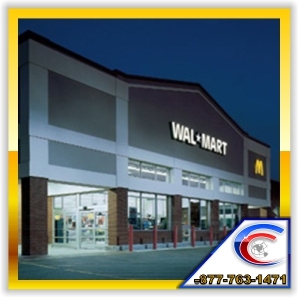 Why should you professional wet clean your overhead structure in a Retail environment? 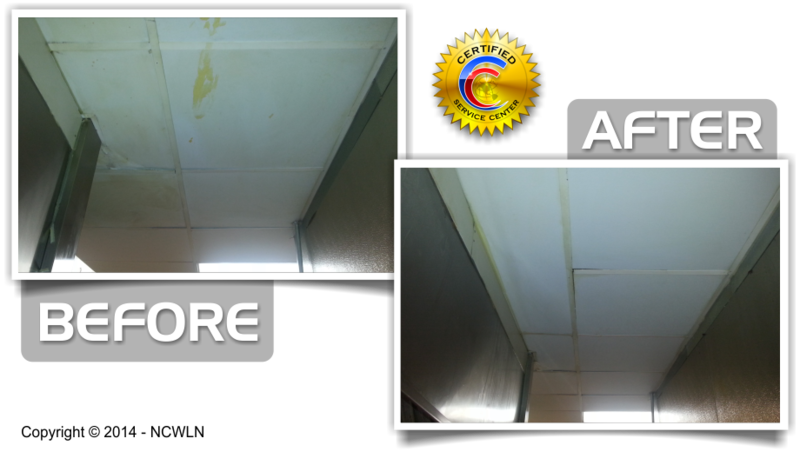 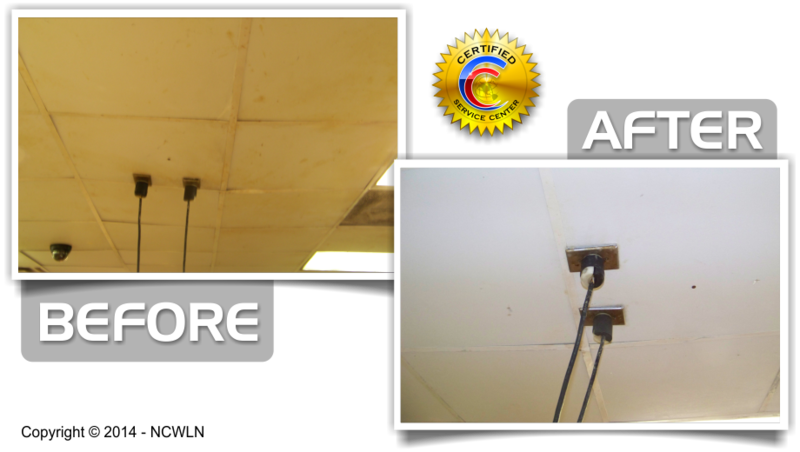 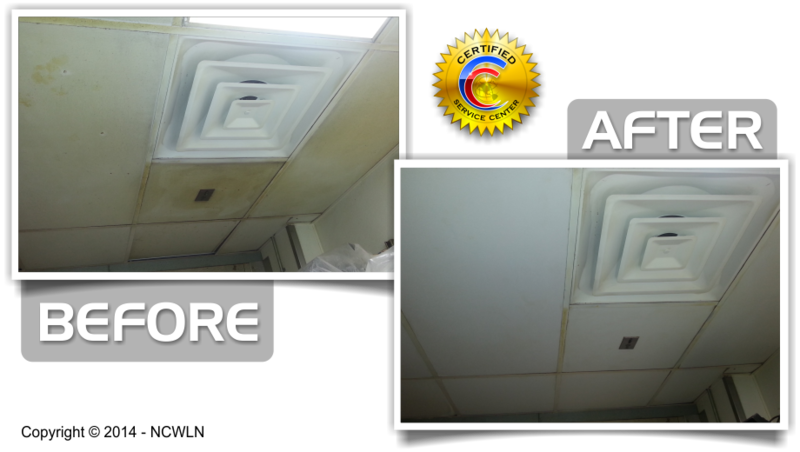 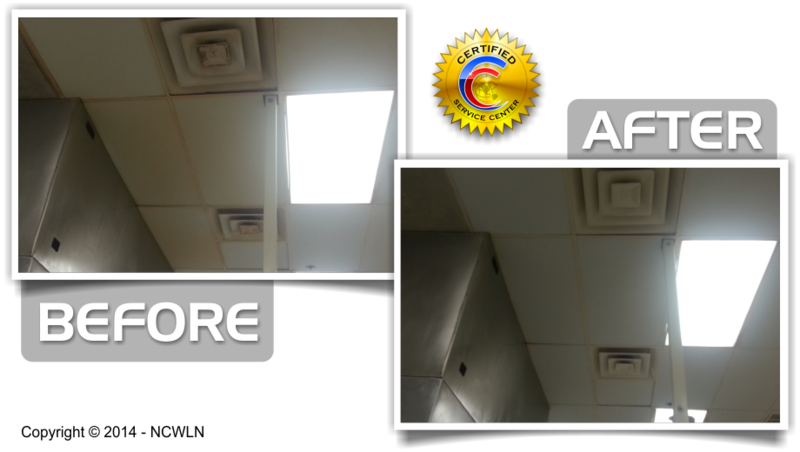 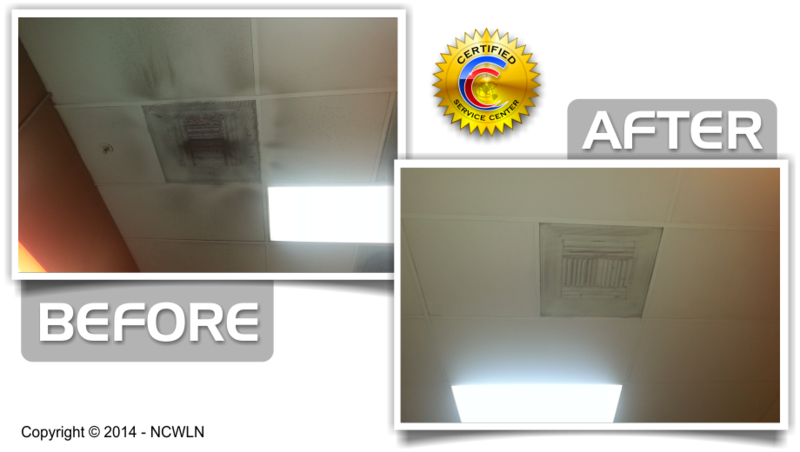 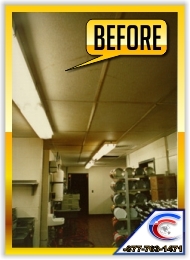 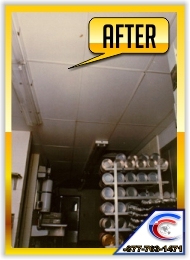 The logical reason that the kitchens and deli’s ceiling structures require a more intense cleaning method is due to the effects of the cooking oils being heated to the point that they become a fume and rise with the air. Once they come into contact with a surface, they accumulate and cool. 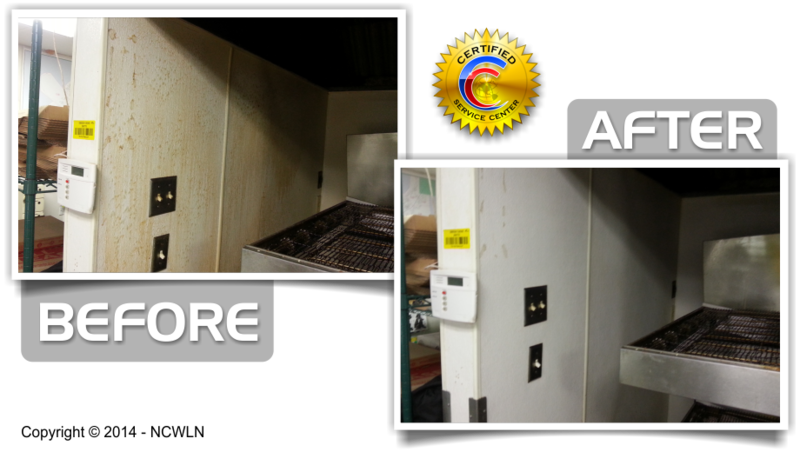 Customers Care of their Equipment is #1. 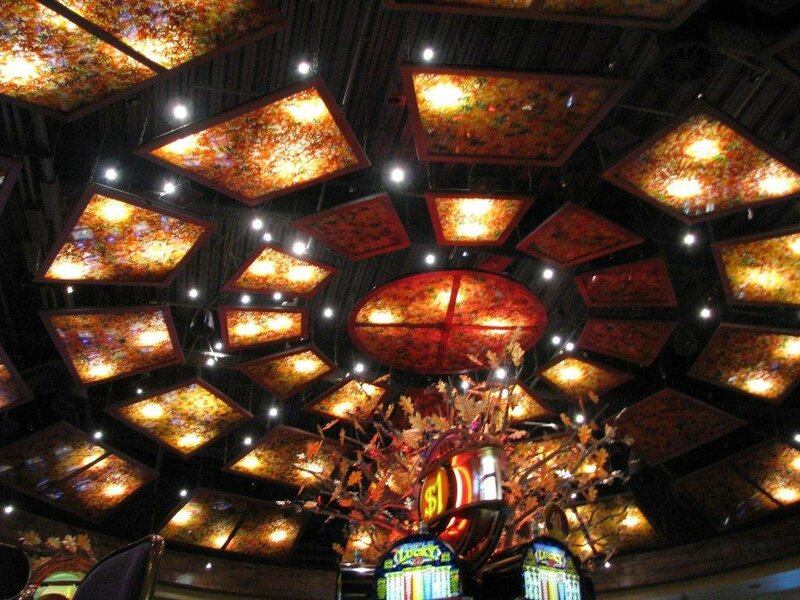 HERE IS A VERY EXPENSIVE SPECIALTY CLEANING NEED THAT ONE OF OUR CUSTOMER HAD THAT WE TOOK CARE OF CLEANING: TIFFANY GLASS LIGHTING FIXTURES. HERE IS ANOTHER PICTURE OF THE SPECIALTY CLEANING NEED THAT ONE OF OUR CUSTOMER HAD THAT WE TOOK CARE OF CLEANING: TIFFANY GLASS LIGHTING FIXTURES. 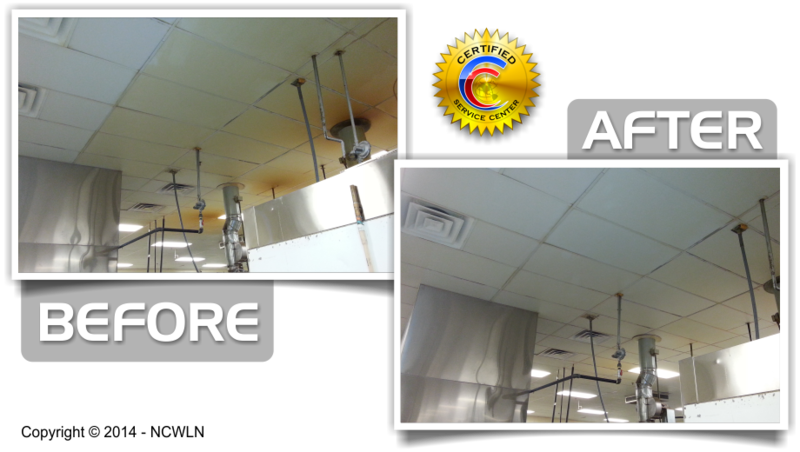 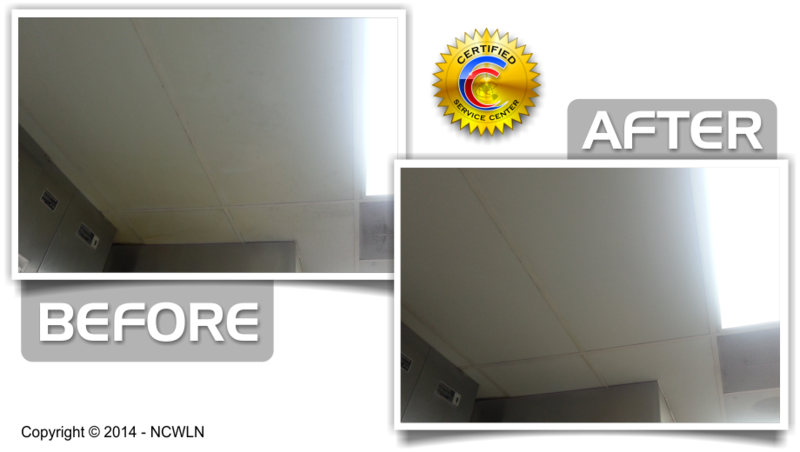 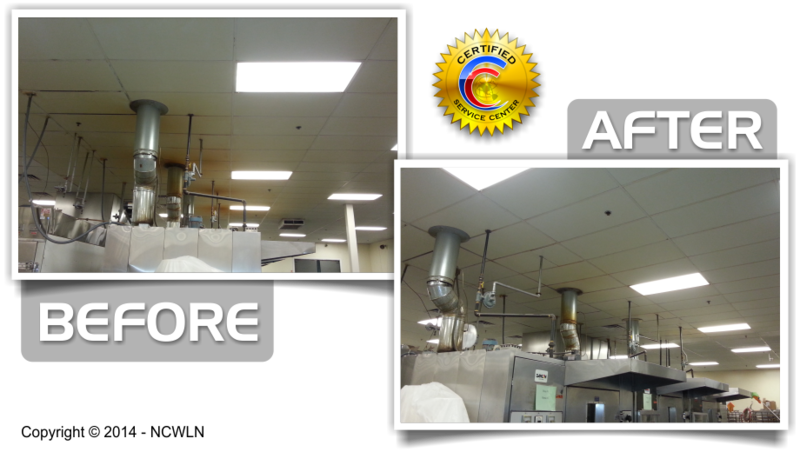 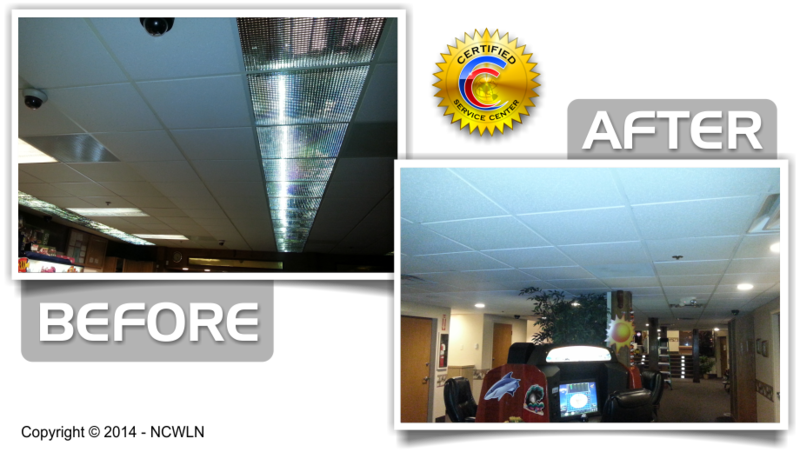 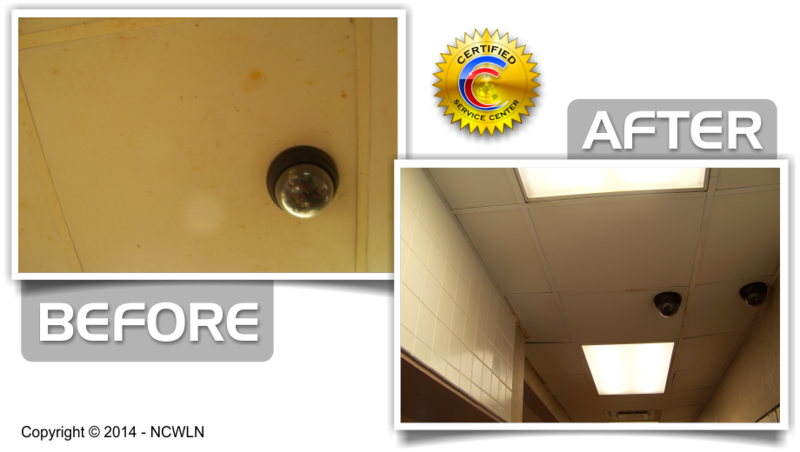 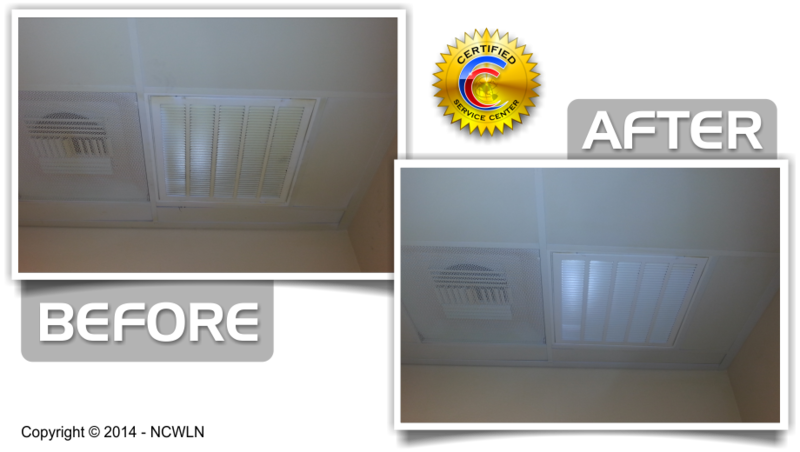 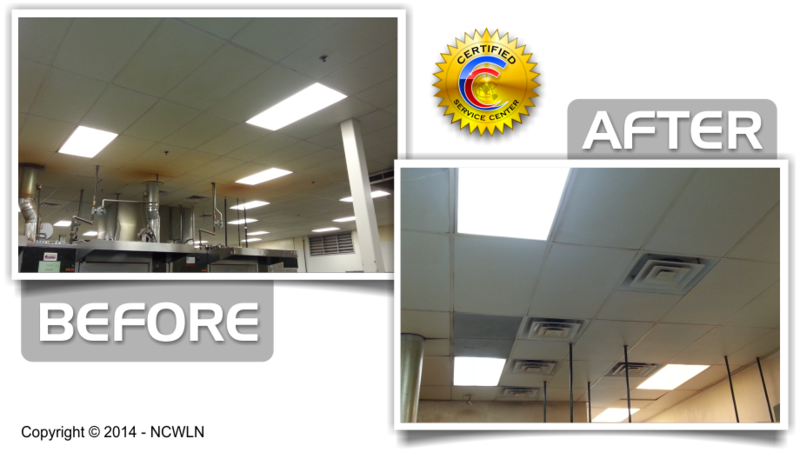 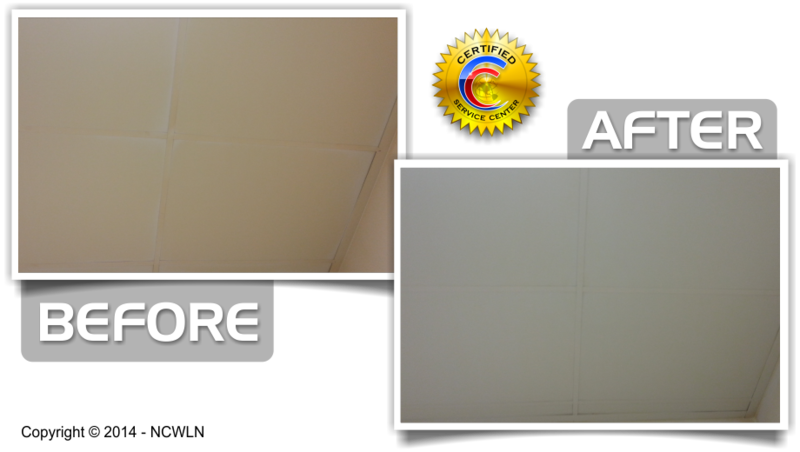 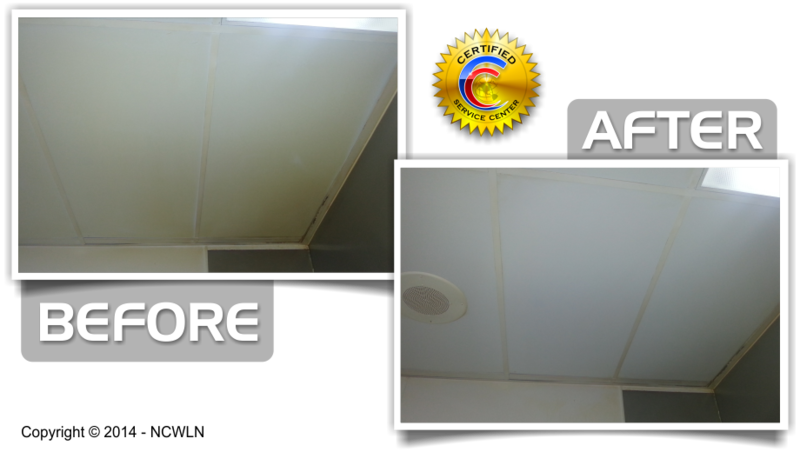 HERE IS A CURVED DOME CEILING AND BEAMS THAT WAS CLEANED BY OUR SPECIALTY CLEANING EXPERTS. CALL THE BEST AND FORGET THE REST.